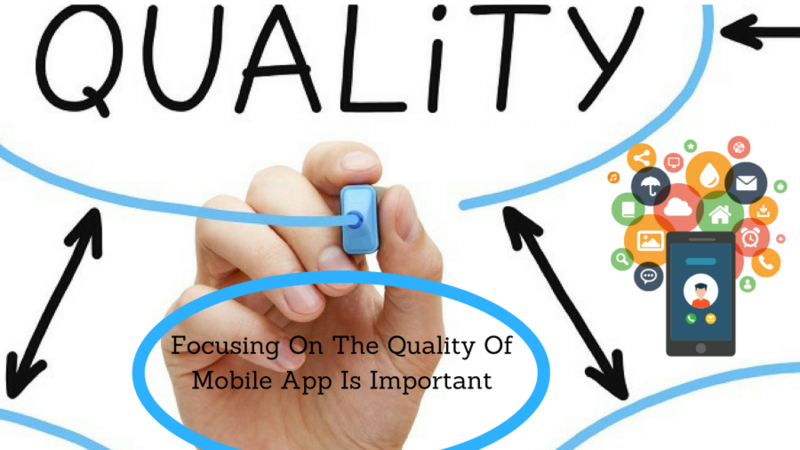 App quality is becoming a matter of prime concern to achieve app success in the stiffly competitive market. Therefore, app development companies and developers highly focused on maintenance of app quality, and the current post is pinpointing some vital things to consider during app development. At present, mobile app marketplaces are flooding with apps like Android apps are 2.8 million while iOS is 2.2 million according to a survey by Statista in 2017. The stiff competition has placed quality of app at the top place for app users as a detrimental factor for download and app usages/retention. One of the studies on app survival and satisfaction, nearly 16% users try the app twice if not satisfied once while rests abandon it. Therefore, app developers and their clients are taking app quality as a serious thing to win app marketing battle. Mobile apps developed to serve varying purposes. App entrepreneurs create an app to addresses needs of the specific audience and looking for monetization through the app itself. SMBs are focusing on branding, customers, and sometimes internal processes. The same goes true for eCommerce apps, but for enterprises? Things get to changed entirely, and corporate apps focus on the business ecosystem and act as internal as well as external agents with tons of features and functionality as a whole new ball game. Despite the wide variations, mobile apps have some basic underlying principles, which are commonly found in all quality apps, and we should know well-before thinking of quality standards of mobile applications that we are going develop. Of course, some are defined by the respective mobile OS marketplaces like App Store and Google Play Store. The rests are prevailing across the global app development community. So, let’s learn the quality standards and how to implement all. For app entrepreneurs, app buyers are the primary target audience, and app end-users are as a secondary and seldom tertiary audience to focus. For SMBs, internal staff and external customers are the main target audience. Whereas, for large organizations and enterprises have everyone as a target audience including internal employees, customers, and people associated with brands. A vast audience means very different learning abilities and tech skill levels. There is no room for a steep learning curve, and guerilla UX testing at different stages of app development is perhaps the surest way to assure it. Creating an intuitive app for a few to thousands of people begins right from the mobile app UI design and quality UI design by experienced and expert mobile UI designer is a clue to it. Only real users of the app know which flexibility requires for their usages of the app. Therefore, let them have free reign to customize the app by offering user customization tools right at front-end and at back-end when back-end users are in question. Of course, various app onboarding techniques can help users in smarter ways to achieve quality above credentials. Takeaway: However, the quality standards of mobile apps differ from app-to-app and need to be defined by the mobile app development team prior to jumping on the development process, and right at the planning stage because you will have the entire picture of the target audience, app requirements, and business requirements as a whole. The security of an app is the biggest quality standard at first glance and concerns various security aspects that need to address in the app development as well as post-development stages. Trimming of low hanging fruits for security breaches like hacking, data breach, data theft, virus attacks, and many other things require app security expertise and QA infrastructure to finish right from their births. Takeaway: Remember app security is quite different from the website security and designing, coding, and integrating security tools and technologies for app security demand special skill sets and professionals to attend. User experiences or UX in app development is altogether different gamut to define app quality and based on the foundational blocks such as performance, usability, UI design, and screen flows that attached to business flows. App screen rendering, interactions with UI components, slowness of the screen according to navigational schemes. Moreover, the comfort of app users to attain their intended goals, and finding & buying a product, these are somewhere related to user experiences and app UX designers have skills to address UX related development needs and issues beautifully than an app designer, or programmer can address it. Takeaway: Hire seasoned app UX designers with experiences and expertise. We already have discussed the way to achieve the app quality during the discussion of app quality standards, security, and UX. The fundamental and common way to reach the high quality is testing, thorough testing with high-end testing infrastructure and by thoroughly trained QA developers/professionals. Mobile is highly fragmented landscape for testers compared to websites or web applications thanks to fragmentations prevailing on hardware and OS fronts. Therefore, the mobile app development companies have to invest heavily in testing to assure high app quality. The software industry has defined standards for documentation created over years of programming practices. Clear, compact, and comprehensive documents make programming, testing, and maintenance practices easy and futuristic. Takeaway: Investment on documentation proves worthy and assure the growth of app in its app lifecycle. When app development team think of app quality, team members lookup industry standards defined by others. Whereas, for the client and its business team, it completely was driven by pure business perspectives and business or professional needs. Therefore, it is essential to have seamless and live communication between app development team and client or business team. For the sake of the creation of a collaborative environment for app development, communication between the entire team along with client is vital and help in design, development, and implementation of quality standards throughout the app development process. Takeaway: Provide the latest communication channels and the modern PMS tools to foster collaboration hence, the creativity and quality. The illustrated quality standards, app security, and various measures to maintain app quality are not within reach of a handful of freelancer mobile app developers. It requires the involvement of a well-organized team of app designers, programmers, UX designers, QA team, and app marketers with an established infrastructure. It is only possible with an established mobile application development agency working in your vicinity or away like SysBunny to support and deliver you to high-quality mobile apps. Do you think, you should have conversations on this topic with a team of SysBunny?